Brainwashed - Orchestra of Constant Distress, "Distress Test"
Orchestra of Constant Distress, "Distress Test"
In the field of music or any contemporary cultural terrain, concepts like development dynamics and progression are used as aesthetic judgement. To any musician or composer, the idea of musical build up comes with a crisis, any attempt towards formal pleasure calls for suspicion that this desire is never one’s own. 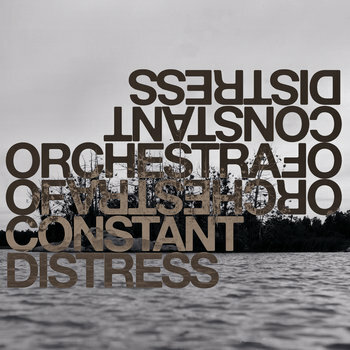 In the case of Orchestra of Constant Distress this deadlock manifests itself in an impulse of refusal directed against any evolution and the result is the extreme generic and the absolute distress of normative noise and improvisation. Members with such experiences from The Skull Defekts, Union Carbide Productions, Brainbombs and No Balls are joined in assemblage of catatonic sounds, obstinate riffs and rigid rhythms. "Just when you think something is about to happen, it doesn't." Review of debut album. Out February 23, 2018 on Riot Season.